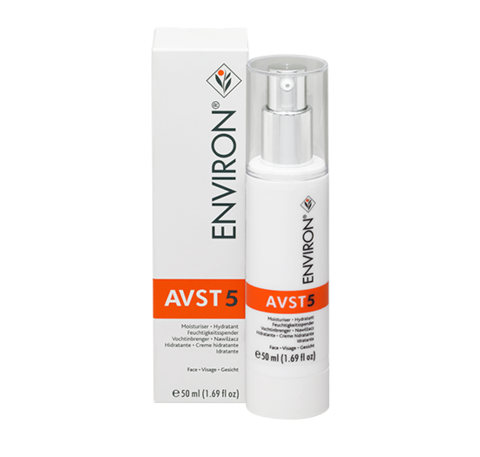 Environ®’s AVST 5 contains the highest levels of vitamins A and C and a peptide Palmitoyl Pentapeptide-4 (Matrixyl®). Packaging: 50ml airless pump that helps protect the active ingredients from light and air. Shelf life: 18 months unopened. Please protect this product from light, heat and air. Store in a cool place. Do not decant. Contains essential antioxidants including vitamin E, C, resveratrol and beta-carotene. 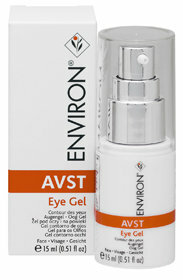 Helps to improve the look of fine lines, uneven skin tone and the appearance of sun damage.